H - Block - Adhiparasakthi Engineering College. Indoor Stadium - Adhiparasakthi Engineering College. Central Library - Adhiparasakthi Engineering College. Main Block - Adhiparasakthi Engineering College. Central Computing Centre - Adhiparasakthi Engineering College. 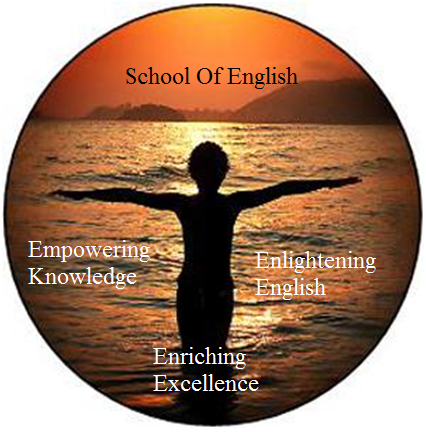 The Department of English was established in 1984. The department has well experienced teaching faculties and 1 non teaching staff member. It offers “Technical English” to the first year students and imparts “Communicative Skills” for first year as well as third year students. The department has a state -of –art Communication Laboratory in a theatrical auditorium. The Language laboratory is equipped with 30 systems in network, LCD projector and necessary software which aid in the development of Communication and Soft Skills. The Language laboratory also has an area outfitted in to lectern and sound system, earmarked for presentation and Group Discussions. This course features a detailed study on the basics of grammar with the objective of initiating good communication ability. It has various lecture notes and videos with a vision of creating a comprehensive understanding. In the present scenario, communicative competence is considered to be the most essential requisites for achieving greater heights in one’s career. Effective communication thus involves exchange of information. It therefore becomes imperative for students of science and technology who are instrumental in bringing about significant developments in the society to master the language in the domain of Technical Communication. Effective communication determines the personality of an individual. The aim of this School of English is to impart the youths with various skills, including speaking English, so that their future prospects are enhanced. Since communication is the ‘Order of the Day’, the department focuses on Communication Skills and Soft Skills. The Department of English has a well established Communication Lab with a newfangled infrastructure. To Guide them use words aptly in professional context. As educators, the department faculties continually reflect on their teaching and update their practice to address the needs of the students, placing a strong emphasis on the human side of teaching. © All Rights Reserved. Adhiparasakthi Engineering College. Melmaruvathur. Site Best viewed in HTML5 supporting browsers, Firefox 4, Chrome, IE8+, Safari Provide your feedback.